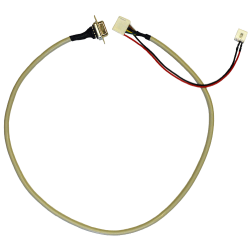 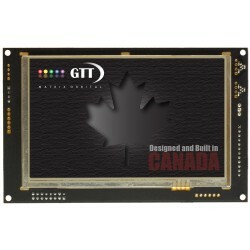 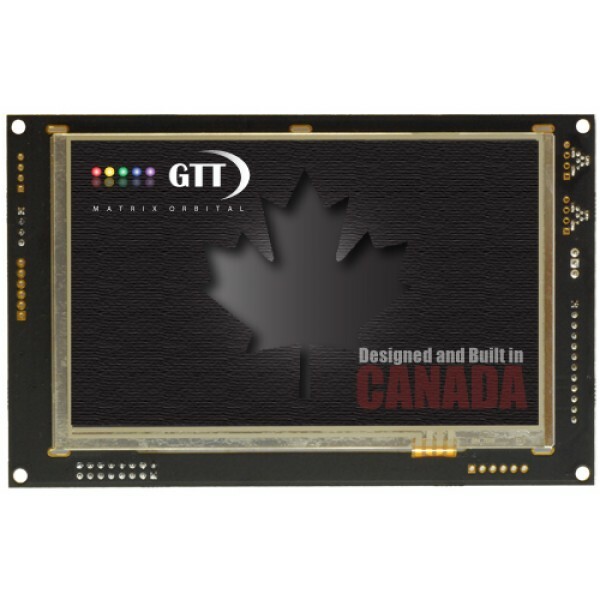 The GTT50A is an intelligent TFT display that features a full color resistive, or capacitive touchscreen. 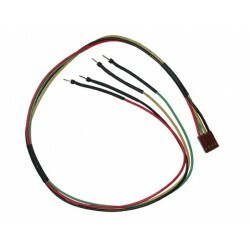 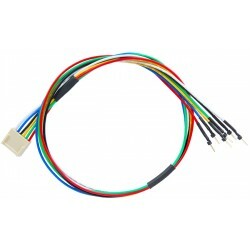 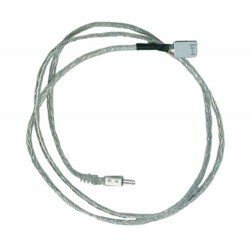 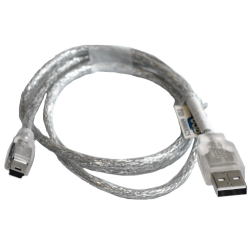 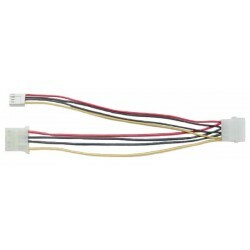 With the available - industry standard - communication protocols (serial RS232, TTL, I2C, RS422 and USB) and the incorporation of a 25 key (matrix-style) keypad header, communicating, controlling and interacting with the display is easily achieved. 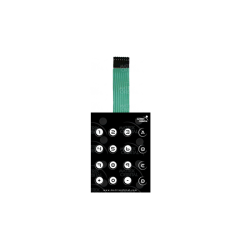 Included features, like the piezo speaker and vibratory motor, provide tactile and audio feedback for a comfortable, confident user interaction. 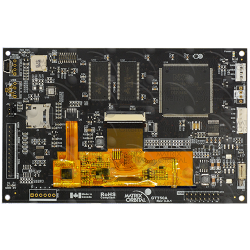 Additionally, the field updatable micro SD card stores font and bitmap files to liberate space and resources for use by the microcontroller, Arduino, or other HMI controller. 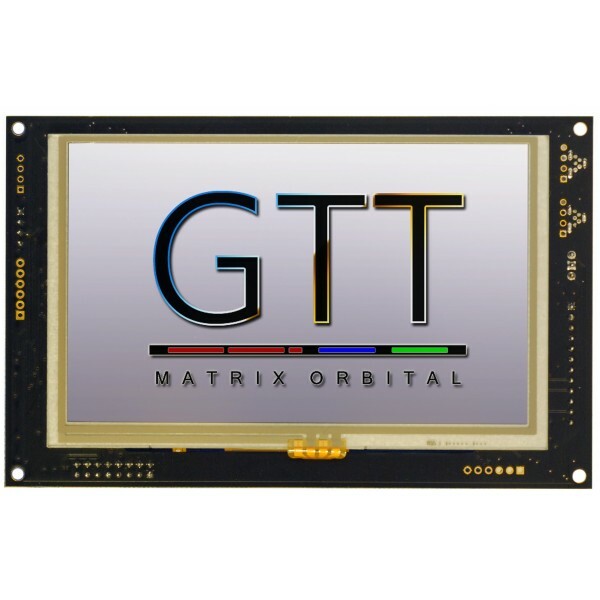 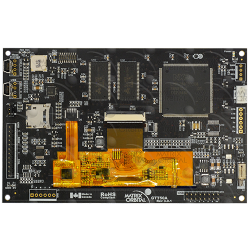 Suitable for a wide range of applications, and with a resolution of 800 x 480, the GTT50A is a complete display solution that will quickly become the bright fresh face of your machine or user interface.